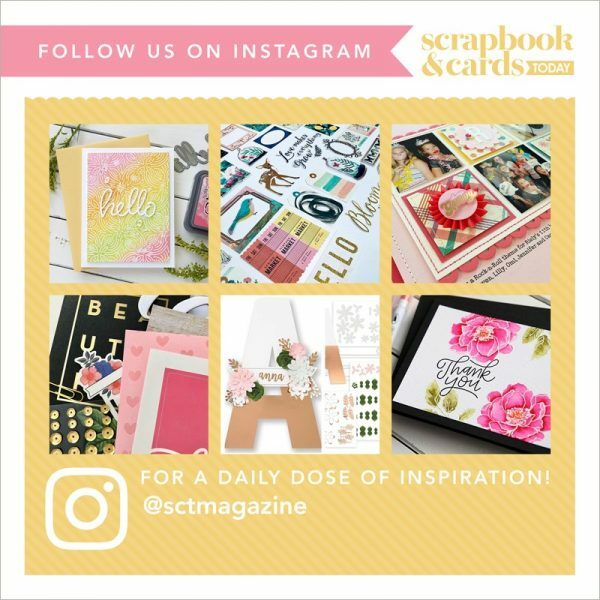 We know a lot of scrapbooks love using sketches as the starting process for their layouts so we thought we would share some of our sketch artist’s, Allison Cope, tips with you today. As a scrapbooker, I love using sketches to get my creative juices flowing. But sometimes I look at a sketch and draw a blank as to how I can make it my own. So I have compiled a few fun tips to share with you today that may help with creating with sketches. 1. Try rotating the sketch around to see if it better fits the elements you want to use. For instance, the sketch uses a portrait style photo and you only have a landscape style photo; if you rotate the sketch, your portrait photo now becomes a landscape style photo. 2. Too many layers… try using a line of stitching instead of using paper for that last layer. You may also try a layer of paint or even something like masking tape. Think outside of the box! 3. If the sketch is designed for a different sized page than you scrap, try “stretching” the sketch image or “shrink” it to fit your page needs. 4. The sketch calls for a ribbon, why not use a simple strip or two of patterned paper or a line of stitching instead. 5. What if the sketch doesn’t have an area for journaling? No problem! Either design an area for journaling by using one of the photo areas shown or even put your journaling on a tag and hide it somewhere on your page. 6. If there’s a flower on your sketch and you’re creating a masculine page, try substituting a star or another masculine shape like a toy car or truck shape. Make that shape fit with the theme of your page. 7. Don’t have enough photos to fit all the photo areas shown on the sketch? Not an issue! Just use the ones you have and get creative with the other boxes; maybe use it for journaling spot or a subtitle or just use that space to add some information like the place, time and date. Also, try adding a piece of memorabilia; like a ticket stub, a brochure or a tag from a special piece of clothing. 8. Make your layered papers stand out a little more from one another by inking the edges, distressing the edges or just doodling a line around the edges. This goes for your simple titles too! 9. Use clusters of mini embellishments to make up a large embellishment shown on the sketch like a large flower embellishment. Try using clusters of buttons, brads, flowers, mini tags, stickers and other small things on your pages. I hope these fun tips and tricks help you create with your next sketch! For some sketches to get you started, please check out my sketch blog, So Sketchy! at http://sosketchy.blogspot.com/. Don’t forget about our Scrapbook and Cards Today sketches too! You can check out all the sketches from our magazine here.